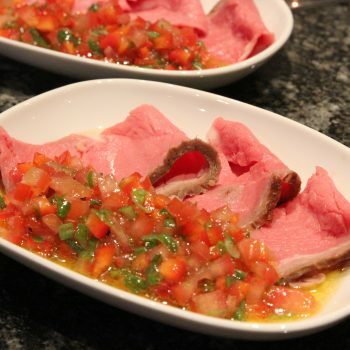 Another very quick nibble, and very easy to do as well. 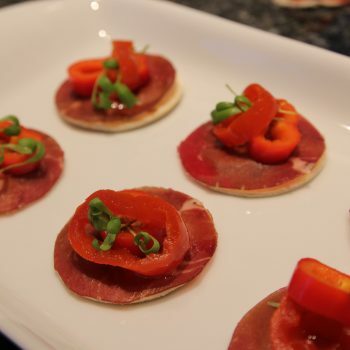 You can serve this nibble like this or in a spoon. 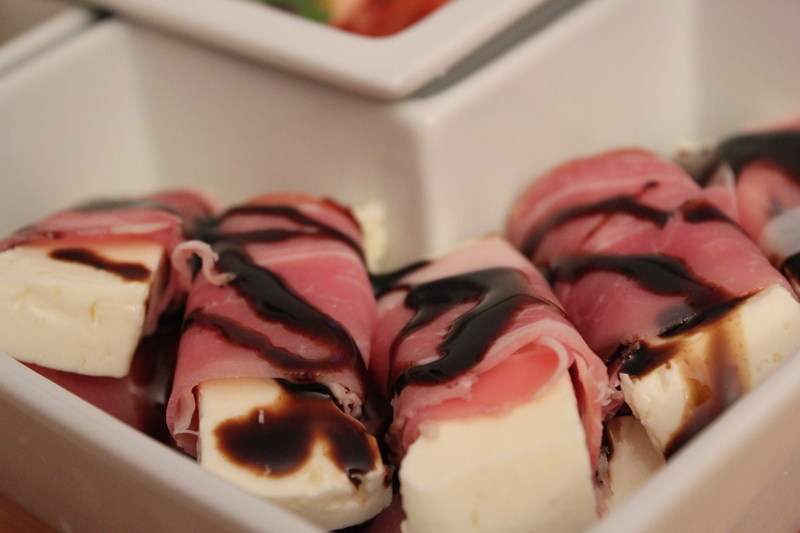 If you have the real deal balsamic vinegar it’ll be a blast, if you have a “normal” aceto balsamico you can prepare a little reduction beforehand and let it cool before use. 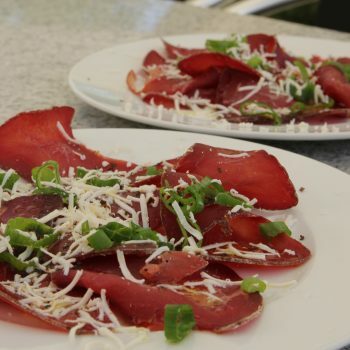 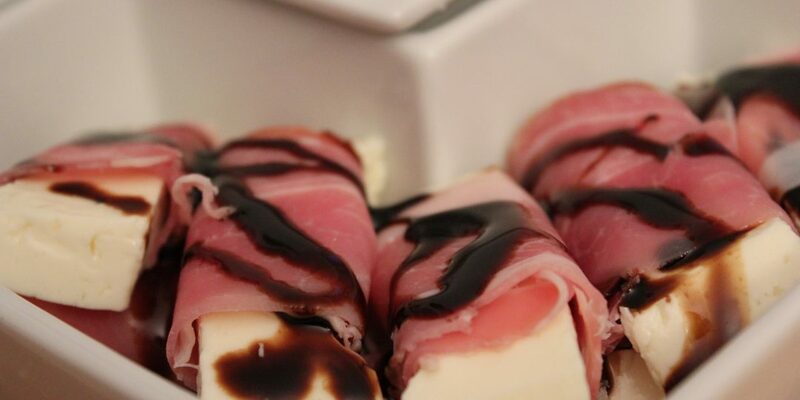 roll the prosciutto around the cheese and put some balsamic vinegar cream on it.